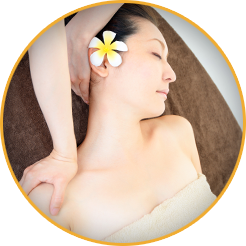 Thai massage is a healing art it uses the power of touour own self-healing abilities. In a Thai massage session the practitioner uses pressure with thumbs, palms and sometimes knees and feet on and a feeling of well being. Thai massage was developed from traditional oriental massage and , in common with acupuncture and other oriental therapies; it works upon the body's energetic system, using the network of meridians or energy pathways which relates to the functioning of the internal organs as well as our emotional psychological and spiritual harmony. 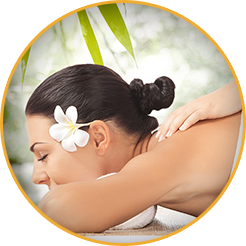 Aromatherapy involves the use of essential oils, often through massage. 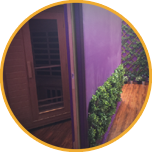 Individual blends are prepared by the practitioner, in a base of cold pressed oil and then applied to the patient's skin through a remedial or relaxing massage. It is important that they are not used directly on the skin, as burning or rashes could occur. (Foot massage and spa) Reflexology is the practice of massaging, squeezing, or pushing on parts of the feet, or sometimes the hands and ears, with the goal of encouraging a beneficial effect on other parts of the body, or to improve general health. It is almost a natural process after a long day on your feet to take off your shoes and begin rubbing the soles of your feet. Rubbing your feet is something you will do without even realizing what you are doing. 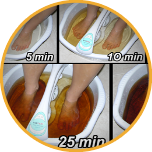 It is a natural way to ease the pressure and aching of your feet. The foot treatment also initiates the process of re-balancing your body s bio-energy. Effectively re-balancing the cells equilibrium of positive and negative ions which, in turn, 'kick starts' the dispersal of the unwanted toxins. The renewed re-balancing of the cells ensures re-hydration resulting in optimum efficiency of their function to extract nutrients and dispose of unwanted waste. The result will be renewed energy levels, both physical and mental, with a general feeling of well being. 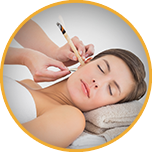 Deep tissue massage can be called a kind of massage therapy, which works on realigning the deep layers of connective tissue and body muscles. It is especially preferred to treat contracted and chronically tense areas like sore shoulders, stiff necks, and lower back tightness. Some strokes of deep tissue massage are also used in the classic massage therapy, however, with a deeper pressure, slower movements, and prime concern being concentrating on such areas as pain and tension. (Neck,Shoulder) This relaxing massage is perfect for a quick ‘pick me up’ during your lunch break or after work The treatment provides back,neck, shoulder and scalp massage that leaves you feeling refreshed and less stressed.